DUBAI – May 31, 2016 – MasterCard, a leading technology company in the global payments industry, in collaboration with Beam Wallet, a world-class mobile commerce and rewards platform, will bring consumers a fast, innovative and rewarding way to shop at over 3,000 stores in the UAE. The innovative mobile payment solution offers users the chance to earn a range of rewards, including food and beverage, travel, shopping, telecommunications and entertainment discounts at physical retail outlets in the UAE. Beam Wallet users, thanks to this collaboration with MasterPass by MasterCard, can now enjoy shopping online at over 250,000 global locations. MasterPass by MasterCard is a digital platform that enables consumers to pay quickly and securely using any payment card or enabled device. It can be used wherever the “Buy with MasterPass” checkout button is found. A list of global outlets can be found online. Founded in the UAE, Beam Wallet is a revolutionary mobile commerce and rewards platform, transforming shopping for consumers. Beam Wallet’s unique value proposition and world-class platform aims to bridge the gap between retail’s digital and bricks and mortar environments. For the consumer, Beam Wallet makes shopping rewarding, convenient, secure and fun. Among the 3,000 merchants accepting the innovative payment solution is Emirates National Oil Company (ENOC). Users filling up at ENOC gas stations across the UAE can now stay in the car with their windows closed as they make payments with a few taps on their mobile phones. “Beam’s mission is to transform the way people shop, while at the same time delivering unique value and insights for our partners. We are super excited about our partnership with MasterCard as this will allow us to benefit from the considerable advantages of the MasterPass by MasterCard platform. ENOC have been great to work with in developing an awesome user experience that is truly groundbreaking. And more importantly we feel that consumers will love the experience of using Beam Wallet at all ENOC and EPPCO stations,” said Shezan Amiji, Co-founder of Beam Wallet. “The belief that technology has the power to simplify our everyday lives and enhance its quality through sustained innovation, forms the cornerstone of our growth philosophy at MasterCard. We are excited to enable this unique mobile payment technology in the UAE, which will eliminate the need to carry cash or a physical card when shopping at thousands of popular stores in the UAE, and open hundreds of thousands of online shopping experiences for consumers,” said Khalid Elgibali, Division President – Middle East and North Africa, MasterCard. 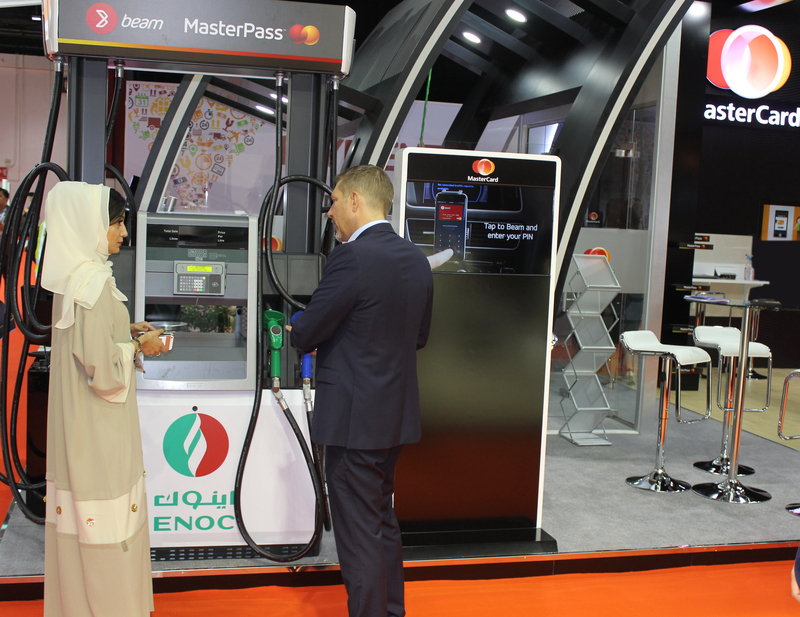 To watch a live demonstration of the technology and other innovative solutions from MasterCard, visit Cards and Payments Middle East 2016, taking place at Dubai International Convention and Exhibition Centre until 1 June 2016, where MasterCard is exhibiting at D-D30 stand within the Cards and Payments Hall.